Thinking about a career in advertising and marketing? Ahmad Islam, with 20 years of experience under his belt, knows more than a thing or two about what it takes to disrupt the market and stand out from the competition. 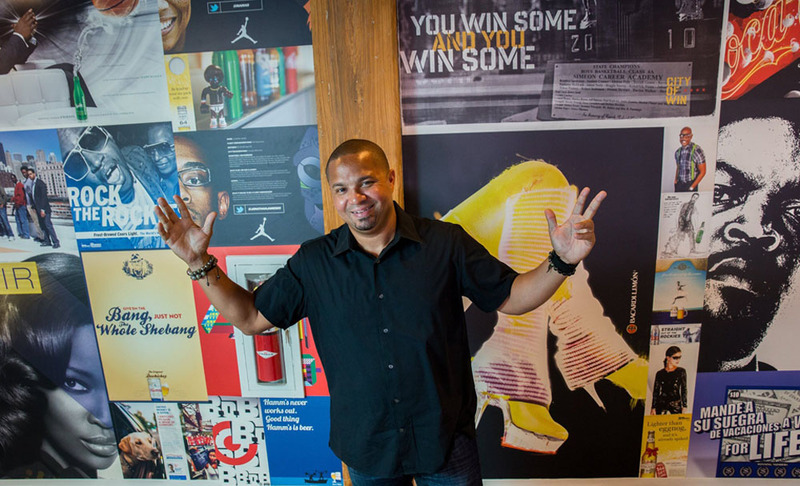 As the co-founder of CommongroundMGS, the largest wholly minority-owned company in the advertising/marketing industry, his firm has created marketing and social media programs for quite a few heavy hitters including Coors Light, Verizon, and HBO to name a few. Black Enterprise caught up with Islam for some game-changing career advice. What advice would you give to your younger self, just starting out in this business? I would tell my younger self to prepare for an incredible journey. One that will not be easy, but will be rewarding. To be careful whom you let inside your circle and to stay focused on your vision and your plan. And I’d also verify the answer to one burning question many marketers were asking almost 13 years when we started Commonground—yes DIGITAL is the real deal! Invest in it and become an expert. First and foremost, I love what I do so it often doesn’t feel like work. That allows me to approach my work with a passion and vigor that is necessary to truly be successful in this industry. I’ve always approached my craft with the idea that I can get better and learn something every day in any situation. Every job I had prior to starting Commonground was an opportunity for me to learn and build the foundation for ultimately starting my company. I approach each day in the same way. The spirit of constant self-improvement is an important part of being and remaining good at what I do. What are some of the biggest lessons you’ve learned working in this business? Hire people who believe in your vision and are passionate about what they do. It’s important to make business decisions based on where you want your company to be, not where it is. Always be forward thinking. Find ways to differentiate yourself and create value for your clients every day. A good agency leads their clients, even when they don’t realize they’re being led. Have great banking relationships. It’s important to be able to invest in the growth of your business and that often requires resources. Tell us about a big professional “win” for the company in 2014-2015. Our biggest win was the creation of CommongroundMGS, the largest wholly minority-owned entity in the industry. We completed a series of mergers and acquisitions that allowed us to take the vision and model we developed with Commonground and “put it on steroids.” We were able to create a company with the scale, footprint, and diversity of capabilities to make a huge impact in the industry as we move forward. What are the biggest challenges facing the marketing and digital advertising industry today? How has your company addressed these challenges? One major issue is the area of policy, governance, and standardization. With the digital landscape evolving so rapidly, policies are being developed in real time that will affect how we address our clients’ business as well as our own. Factors like ad blocking, privacy regulations, viewable impressions, and many others will affect how advertisers leverage technology, creative, media, and marketing opportunity. The key is creating business advantages for your clients in ways that that effectively and ethically prioritize your relationship with customers. CGMGS is beefing up our digital resources as well as how we function inside the agency. Through some of our recent business moves (i.e., the merger, related acquisitions and some strategic hires), we now have teams of people who don’t even really think about ads. They spend their time solving for these other major tech issues that will help our clients and us. We also spend a lot of time learning outside of the industry.